Swiss builder Hannes Tscharner has crafted another Star Wars masterpiece, this time building his own UCS style model of the Imperial shuttle Tydirium from Star Wars: Return of the Jedi. 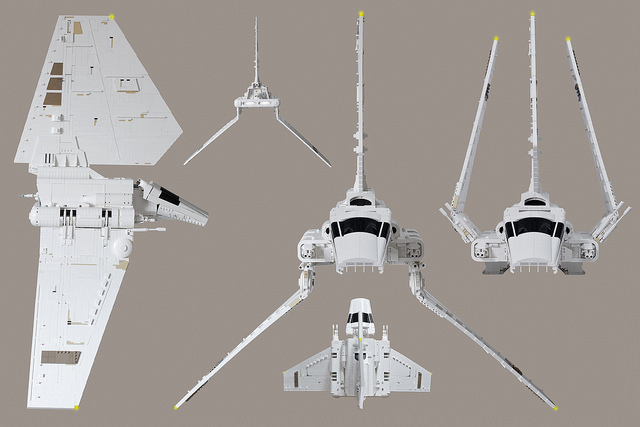 At 94cm wide and 102cm tall, the model stands larger than LEGO’s own 10212 Imperial Shuttle and contains more than twice as many pieces. It also features several play features including motorized folding wings, light-up engines, a full interior, and more. 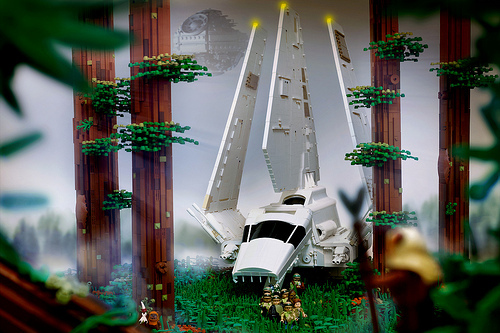 The creation draws on features from the original UCS set as well as another fan model by Maciej Szymański. Thanks to some of the new curved parts, Hannes was able to replicate the Imperial Shuttle’s intricate lines. Check out the gallery on Flickr for more photos including detail shots and work-in-progress pictures. 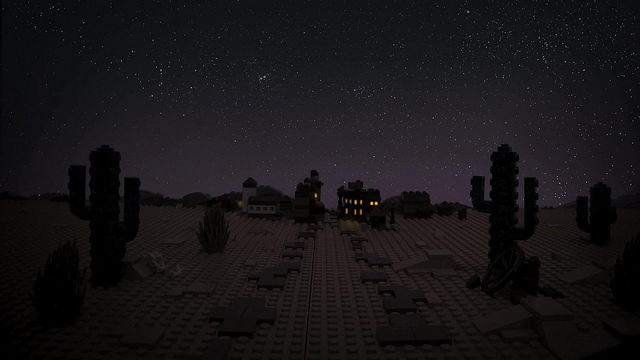 Don’t miss this builder’s other UCS models, of the Millenium Falcon and Sandcrawler as well as our interview with Hannes.